It’s Frank Miller’s birthday — he was born Jan. 27, 1957 — and rather than do my typical 13 COVERS salute, I’ve decided instead to gather together some of my favorite stories about The Dark Knight Returns that we’ve published over the last few years. I’m proud to say there’s some great stuff here. Beyond my 13 QUICK THOUGHTS on why DKR is so brilliant, there’s an up-close look at Graphitti Designs’ The Dark Knight Returns Gallery Edition — you HAVE to see the art — and commentary by a litany of creators about the graphic novel’s enduring appeal, including Greg Capullo, Darwyn Cooke, Mike Allred, Mark Waid and many others. 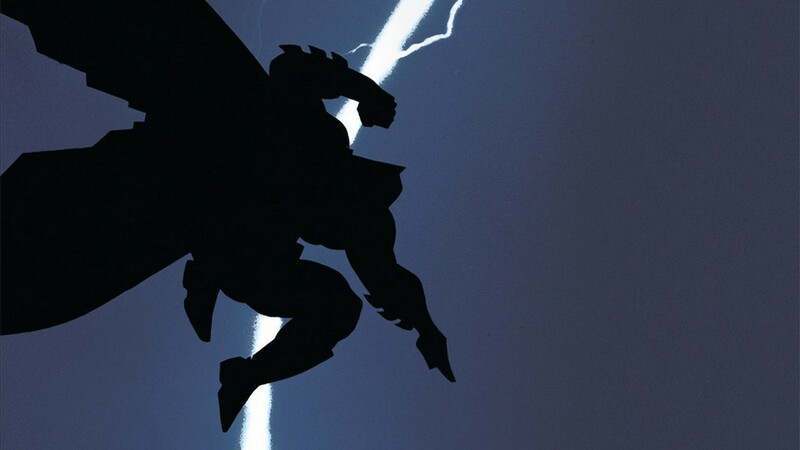 — 13 QUICK THOUGHTS: The Greatness of DARK KNIGHT RETURNS. Click here. — 13 Magnificent Original DARK KNIGHT RETURNS Art Pages. Click here. — Creators Pick Their Favorite HELL YEAH! Moments From DKR. Click here. — Dig DC’s Upcoming 2019 DARK KNIGHT RETURNS Merch. Click here.